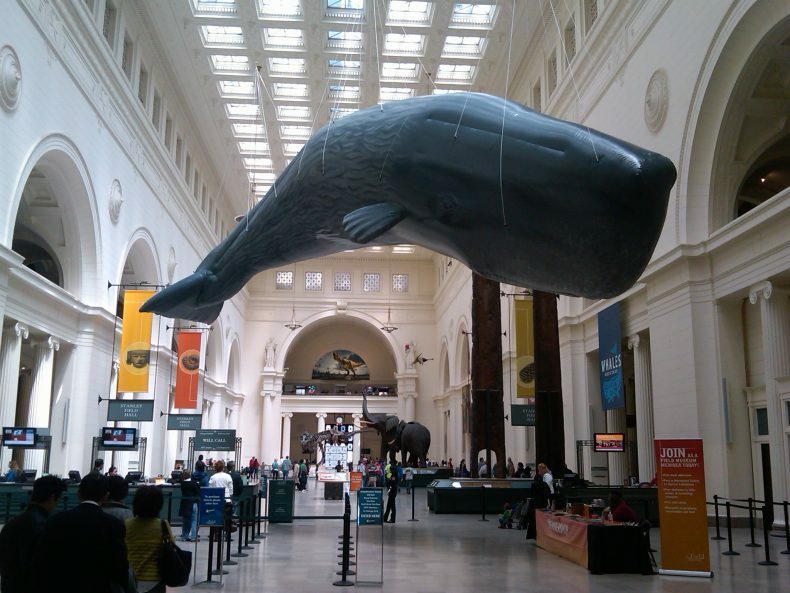 After a decade in North America, our Whales | Tohorā exhibition is making its way back south through the Pacific. For anyone who can’t recall the exhibition – it finished showing at Te Papa in May 2008. Here’s a brief recap from Pat Stodart, Touring Exhibition Manager. So what’s inside Whales | Tohorā? 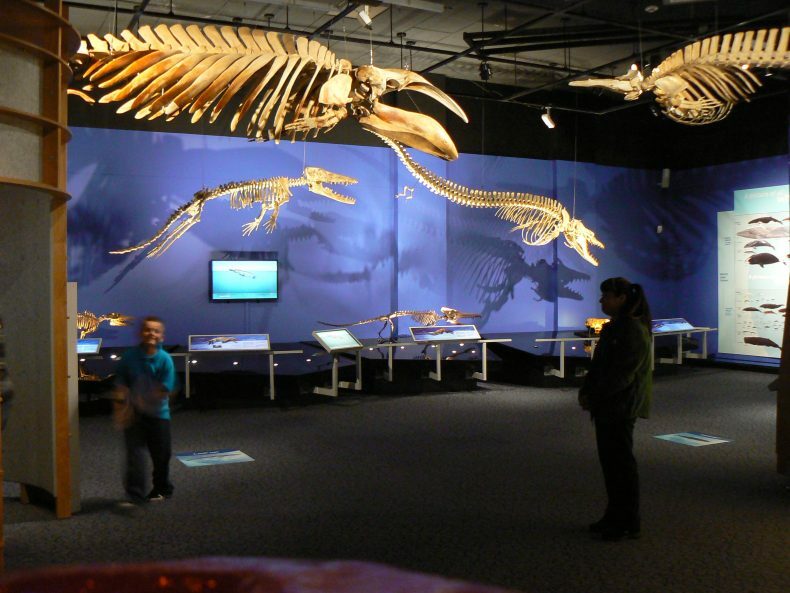 The exhibition highlights the latest in international research and uses specimens from Te Papa’s whale collection, one of the largest cetacean collections in the world. It features two fully-articulated sperm whale skeletons, ancient and contemporary whalebone taonga such as taiaha and hei-tiki, and it carries the voices and images of scientists, kaumatua, and old whalers scattered throughout in audio-visuals. The evolutionary journey from land to the sea is described using fossil casts and animations showing the adaption to a life in the sea. The legendary whale riders have their stories told by their descendants. You can select and listen to a range of whale sounds, the ‘Search & Destroy’ theatre takes you to the ocean depths with a sperm whale as it searches for a meal of giant squid. You’re confronted by whale strandings and the difficult decisions that surround this emotional event, as human and whale meet on New Zealand shores. 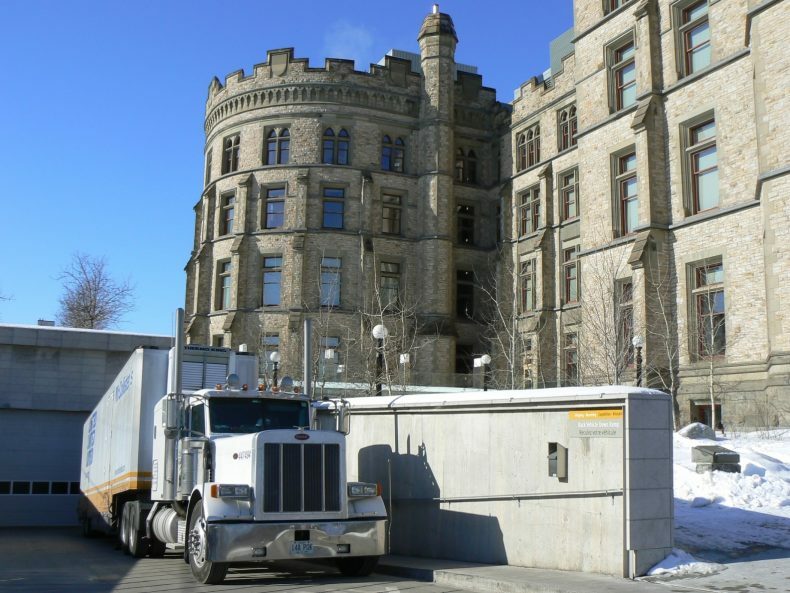 The journey started in the U.S. capital at the National Geographic Museum, and travelled as far north as the Canadian capital Ottawa, as south as San Antonio, Texas, as west as San Francisco, and as east as New York. 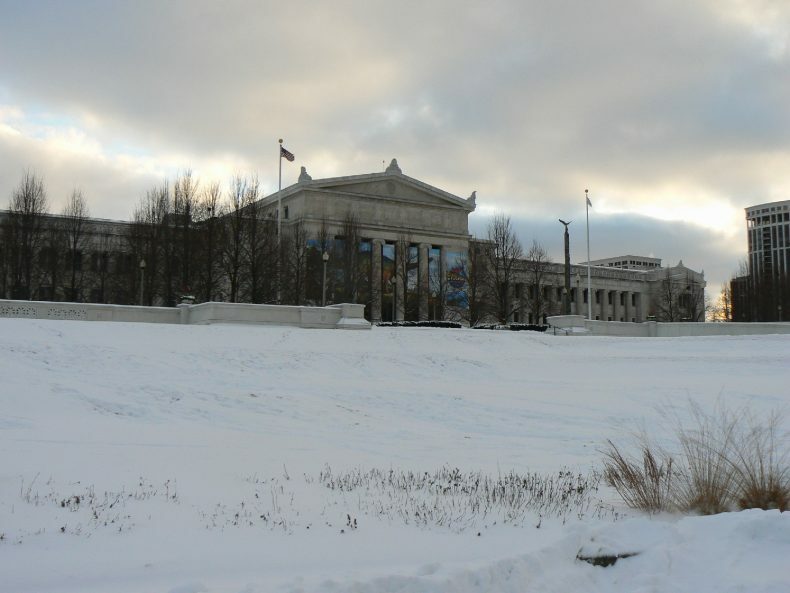 The 10 trucks hauling the exhibition have been through deserts in summer, they have raced along the Bonneville Salt Flats of Utah, the Rocky Mountains of Colorado, cruised along the Great Lakes of Michigan and Erie, and ridden the streets of upper Manhattan. The whales have seen a lot of snow and been as far from water as any could fear to be. They’ve crossed the US-Canadian border five times, but the 37 specimens have never had a passport. Along the way they’ve met fellow whales like “Finny” the Fin Whale specimen at the Grand Rapids Public Museum; the Blue Whale at the Canadian Museum of Nature tweeted a welcome to the male Sperm Whale Tohunonga as it was hoisted up and past it to the fourth floor gallery; Stanley the inflatable whale at the Field Museum promoted the exhibition and loomed over visitors. 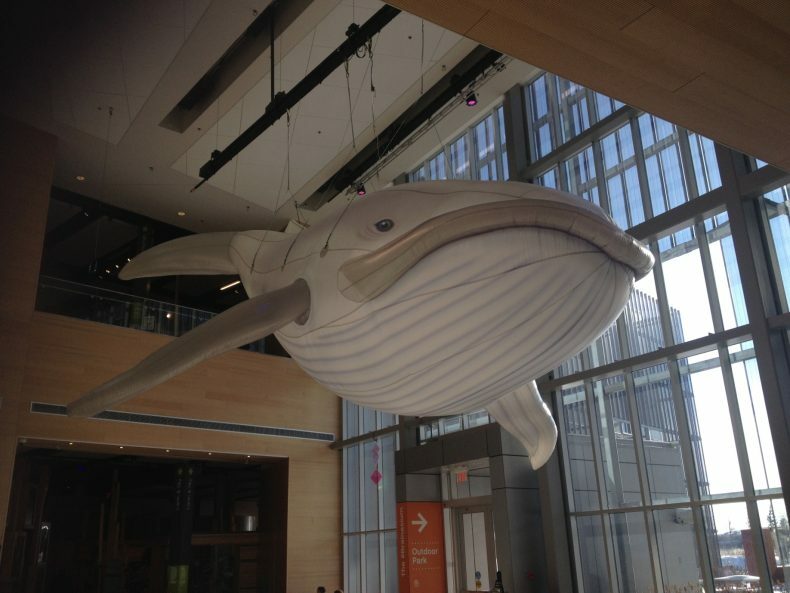 Actually, inflatable whales have also appeared at the Telus Spark Center in Calgary and the Canadian Museum of Nature. Sometimes their species can be quite hard to determine but they do seem to go up much quicker than we can assemble a real one. Whales – the longest and the best? 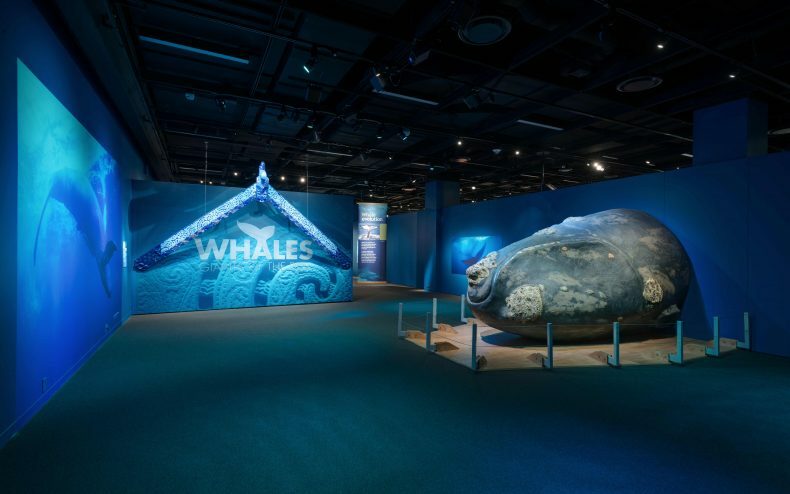 No New Zealand exhibition has travelled as far and for as long as Whales – even the celebrated Te Māori travelled for only two years and to four cities in the U.S.
Whatever measure you put against Whales, it has been a success story for us and New Zealand. We’ve had other successful exhibitions over the years, including Kuru Pounamu, which became the first New Zealand exhibition to visit multiple museums in China. Et Tu Ake took traditional and contemporary Māori culture to Paris, Mexico City, and Montreal and gained great acclaim, but Whales started before these exhibitions and lasted long after them. Of the 117 months since arriving in America, 112 have been spent either preparing for or being on display. The exhibition has averaged 117,000 visitors per museum and at the California Academy it had over half a million visitors alone. Now, having travelled over 22,000 kms on the American continent, engaged with three million visitors, and been shown in 16 museums and science centres, it’s nearly ready to journey by water once again to another continent – Australia. Can’t wait for it to return home . I never got there the first time. When will it return to Te Papa? Hi Olwen, we don’t have an absolute date for a return to Te Papa scheduled, but it’s at least a few years off. It’s still got a job to do in Australia for cetaceans and Te Papa first.